When buying a wetsuit you need to make sure it fits you correctly. Buying an ill-fitting wetsuit can be a waste of money as it’s not going to keep you warm in the water. We recommend that before you buy a wetsuit check the size chart. Be aware that every manufacturer uses a slightly different standard, just because you buy a medium t-shirt doesn’t mean you’re a medium wetsuit. We’re all different shapes and sizes and you may find that some brands of wetsuit will fit your body shape better than others. 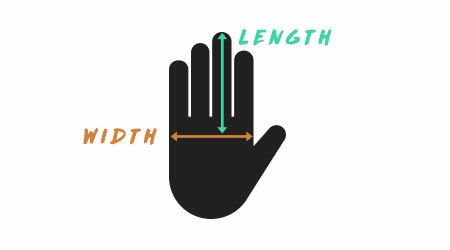 If you find that you are between two sizes, then we would suggest choosing the size that you are closest to. We hope that you find this information helpful when choosing the right wetsuit size for you. If you’re in doubt feel free to call us on 01548 800 567 (Monday-Friday, 9am-5pm) or you can drop us an email at store@magicseaweed.com and we’d be more than happy to help. Check out the MSW Wetsuit Guide for more information on wetsuit sizing. You can find all the wetsuits we carry on our wetsuit page. Please Note: Not all sizes are available across all styles and brands, please check individual wetsuit listings. Billabong wetsuits offer great value, their winter wetsuits and summer wetsuits are offered in all the standard sizes. 5'6"-5'8" 5'8" - 6'0" 5'6" - 5'9" 5'9" - 5'11" 5'11" - 6'1"
36" - 38" 37" - 38" 38" - 40" 38" - 40" 39" - 40"
29" - 31" 29" - 31" 30" - 32" 31" - 33" 31" - 33"
5'7" - 5'9" 5'11" - 6'1" 6' 1" - 6' 3" 6'0" - 6'3" 6'1" - 6'4"
41" - 43" 41" - 43" 41" - 43" 43" - 44" 43" - 44"
33" - 35" 32.5" - 34.5" 33" - 35" 36" - 38" 38" - 40"
C-Skins make cold water wetsuits that are designed in Northern Europe, their experience in cold water environments and commitment to value makes them a good choice for the committed surfer. 5'6- 5'8" 5'9"-6'0" 5'7"- 5'9" 5'8"- 5'10" 5'11"- 6'0" 5'9"- 5'11"
37" 37" 38" 39" 39" 40"
30.5" 30.5" 31.5" 32.5" 32.5" 33.5"
6'1"- 6'3" 5'7"-5'9" 5'10"- 6'0" 6'1"- 6'3" 5'10"- 6'0" 5'11"- 6'2" 6'3"- 6'6"
40" 41" 41" 41" 43" 43" 43"
33.5" 34.5" 34.5" 34.5" 36.5" 36.5" 36.5"
Hurley have re-launched their wetsuit range, they're focused on performance and warmth and they feature the signature Hurley two stripe branding. Height 5'7" - 5'8" 5'6" - 5'8" 5'8" - 5'10" 6'0" - 6'3" 5'6" - 5'9" 5'10" - 6'0" 6'2" - 6'4" 5'10" - 6'2"
ION wetsuits combine high quality products wrapped in a progressive style and design. 5'6" - 5'8" 5'8" - 5'10 5'9" - 5'11" 5'11" - 6'1" 6'0" - 6'2" 6'1" - 6'3"
34 - 36" 36 - 38" 38 - 40" 40 - 42" 42 - 44" 44 - 46"
5'9" - 6'11" 6'10" - 6'0" 6'0' - 6'2" 6'1" - 6'3" 5'9" - 5'11" 5'11" - 6'1" 6'0" - 6'2"
36 - 38" 38 - 40" 40 - 42" 42 - 44" 39 - 41" 41 - 44" 42 - 45"
Isurus sponsor big wave world champion Grant Twiggy Baker, they combine compression technology which is commonly used by elite athletes in other sports with top quality Yamamoto neoprene for a unique performance wetsuit. 5'5" - 5'8" 5'8" - 6'0" 5'6" - 5'9" 5'7" - 5'9" 5'10" - 6'0"
5'8" - 5'11" 5'10" - 6'0" 6'1" - 6'4" 6'0" - 6'3" 6'0" - 6'3"
*Size LTS is designed specifically for a surfer build with long arms and legs where an MT is too short on the arms and legs and the LT is too loose. O'Neill have been making surf wetsuits for over 60 years, they continue to innovate and offer a great selection of winter and summer wetsuits, we find that we tend to wear a smaller size in O'Neill compared to other brands so have a good look at the size chart if you haven't tried on an O'Neill before. 5'7" - 5'9" 5'11" - 6'1" 5'8" - 5'10" 6'0" - 6'2" 5'6.5" - 5'8.5" 5'9" - 5'11" 6'1" - 6'3" 5'7.5" - 5'9.5"
34.5" - 36.5" 34.5"-36.5" 36" - 38" 36.5" - 38.5" 38.5" - 40.5" 38.5" - 40.5" 38.5" - 40.5" 40.25" - 42.75"
28" - 30" 28" - 30" 29" - 31" 29" - 31" 30.5" - 32.5" 30.5" - 32.5" 30.5" - 32.5" 32.5" - 34.5"
5'10" - 6'0" 6'2" - 6'4" 5'8.5" - 5'10.5" 5'11" - 6'1" 6'3" - 6'5" 6'0" - 6'2" 6'0" - 6'3"
40.25" - 42.75" 40.25" - 42.75" 42.75" - 45.25" 42.75" - 45.25" 42.75" - 45.25" 45.25" - 47.75" 47.75" - 50.25"
32.5" - 34.5" 32.5" - 34.5" 34.5" - 36.5" 34.5" - 36.5" 34.5" - 36.5" 36.5" - 38.5" 38.5" - 43.5"
Quiksilver are one of the original surfwear brands, their wetsuit sizing tends to come up a little narrower than some brands and they offer a full range of summer and winter wetsuits. 5'7.5" - 5'9.5" 5'7.5" - 5'9.5" 5'9" - 5'11" 5'11" - 6'1" 5'9" - 5'11" 5'11" - 6'1" 6'0" - 6'2" 6'0" - 6'2"
36" - 38" 38" - 40" 38" - 40" 38" - 40" 40" - 42" 40" - 42" 40" - 42" 42" - 44"
29" - 31" 31" - 33" 31" - 33" 31" - 33" 33" - 35" 33" - 35" 33" - 35" 35" - 37"
Please note, the sizing we use on the site represents the size printed inside the wetsuit, this is often a US size, but can vary depending on the brand, we always recommend looking at the relevant size chart on this page to make sure you are buying a suitable size. Even more so than mens wetsuits, the different brands often have different cuts which can make a big difference to how well the wetsuit fits, the size chart is a great way of checking that you're getting the best size of wetsuit for you but you might find that you are a different size in a different brand. Billabong wetsuits offer great value, their womens size chart is different to all the other brands, they print a European/Australian size and a US size inside the wetsuit, we've spoken to Billabong who say the European/Australian size is equivalent to a UK size, the US size conversion is calculated differently to other brands though so we'd recommend using the size chart to get the right size. 5'3" - 5'5" 5'4" - 5'6" 5'5" - 5'7" 5'6" - 5'8"
30.5" - 32.5" 31.5" - 33.5" 32.5" - 34.5" 34" - 36"
24" - 26" 25" - 27" 26" - 28" 27" - 29"
5'3" - 5'5" 5'4" - 5'6" 5'5" - 5'7" 5'6" - 5'8" 5'7" - 5'9" 5'9" - 5'11"
31.5" 32.5" 33.5" 35" 36.5" 38.5"
24" 26" 27" 28" 30" 31"
5'0" - 5'3" 5'2" - 5'5 5'3" - 5'6" 5'5" - 5'8" 5'7" - 5'9" 5'8" - 5'10" 5'9" - 5'11"
28 - 30" 31 - 33" 32.5 - 34.5" 34 - 36.5" 35.5 - 38" 37.5 - 39" 39 - 41"
5'7" - 5'10" 5'9" - 6'0"
34 - 36.5" 25.5 - 38"
5'3" - 5'5" 5'4" - 5'6" 5'3.5" - 5'5.5" 5'5" - 5'7" 5'6.5" - 5'8.5"
27.75" 28.75" 29.75" 29.75" 29.75"
24" - 26" 25" - 27" 26" - 28" 26" - 28" 26" - 28"
5'4.5" - 5'6.5" 5'8" - 5'10" 5'7.5" - 5'9.5" 5'6" - 5'8" 5'7.5" - 5'9.5"
31.25" 31.25" 31.25" 32.75" 34.25"
27" - 29" 27" - 29" 27" - 29" 29" - 31" 30" - 32"
Rip Curl offer a range of wetsuits which cater for surfers who want warmth or performance, the Flash Bomb range offer thick lining and sealed seams and the e-bomb is one of the original super stretchy wetsuits. Roxy offers range of wetsuits specifically for women. 5'3" - 5'5" 5'4" - 5'6" 5'5" - 5'7" 5'6" - 5'8" 5'7" - 5'9" 5'8" - 5'10"
30.5" - 32.5" 31.5" - 33.5" 32.5" - 34.5" 34" - 36" 35.5" - 37.5" 37" - 39"
23" - 25" 24" - 26" 25" - 27" 26.5" - 28.5" 28" - 30" 29.5" - 31.5"
33" - 35" 34" - 36" 35" - 37" 36.5" - 38.5" 38" - 40" 38" - 40"
Xcel have a reputation for making top quality surf wetsuits for summer or winter surfers, they offer a great range of intermediate sizes and a full selection of wetsuits from the super flexible Comp range to the cutting edge Drylocks. 5' - 5'3" 5'2" - 5'5" 5'4" - 5'7" 5'7" - 5'10" 5'5" - 5'8" 5'9" - 6' 5'6" - 5'9" 5'6"-5'9"
32.5" 34" 35.5" 35.5" 37.5" 37.5" 40.5" 44"
24.5" 26" 27.5" 27.5" 29.5" 29.5" 32.5" 36"
33.5" 35" 36.5" 36.5" 38.5" 38.5" 41.5" 45"
All the brands use ages to size their kids wetsuits, this is a good place to start but it's definitely worth taking some measurements and looking at the various options in different brands rather than relying solely on the age of the surfer. 2'7"-2'10" 2'10"-3'2" 3'2"-3'4" 3'5"-3'7" 3'7"-3'9" 3'9"-4'0"
20"-21" 22"-23" 22"-23" 23"-24" 24"-25" 25"-26"
19"-19.5" 20"-20.5" 21"-21.5" 21.5"-22" 22.5"-23" 23.5"-24"
4'1"-4'5" 4'6"-4'8" 4'8"-5'1" 5'1"-5'3" 5'3"-5'5"
25"-27.5" 28"-30" 30"-32" 32"-34" 34"-36"
22"-24" 23"-25" 25"-27" 27"-29" 28"-30"
2'7" - 2'10" 2'10" - 3'1" 3'1" - 3'4" 3'4" - 3'8" 3'8" - 4'0"
18" - 20" 19" - 21" 20" - 22" 21" - 23" 23" - 25"
17" - 19" 18" - 20" 19" - 20" 20" - 22" 20" - 22"
4'0" - 4'4" 4'4" - 4'7" 4'8" - 4'11" 4'11" - 5'1" 5'1" - 5'4" 5'4" - 5'7"
24" - 26" 26" - 28" 28" - 30" 29" - 32" 31" - 33" 33" - 35"
21" - 23" 21" - 23" 24" - 26" 25" - 27" 26.5" - 28" 27" - 29"
2'10.5" - 3'2.5" 3'2.5" - 3'6.5" 3'6.5" - 3'10.5" 3'10.5" - 4'1.5" 4'1.5" - 4'4.5"
18" - 20" 19" - 21" 20" - 22" 20" - 22" 21" - 23"
4'4.5" - 4'7.5" 4'7" - 4'10" 4'10" - 5'1" 5'1" - 5'4" 5'4" - 5'7"
22" - 24" 24" - 26" 25" - 27" 27" - 29" 28" - 30"
4'7" - 4'10" 4'10" - 5'1" 5'1" - 5'4" 5'4" - 5'6"
23.5" - 25.5" 25" - 27" 26.5" - 28.5" 28.5" - 30"
4'8" - 4'11" 4'11" - 5'2" 5'2" - 5'4" 5'4" - 5'6"
3'10" - 4'1" 4'1" - 4'4" 4'4" - 4'7" 4'7" - 4'10" 4'10" - 5'1" 5'1' - 5'4" 5'4" - 5'6"
23" 24.5" 26" 27.5" 29" 31" 33"
20" 21.5" 23" 24.5" 26" 28" 30"
As shown in the diagram above width is the width of your palm measured across the widest point at the knuckles, length is from the tip of the middle finger to the width line across the widest point. Based on a measurement around the head just above the ears.